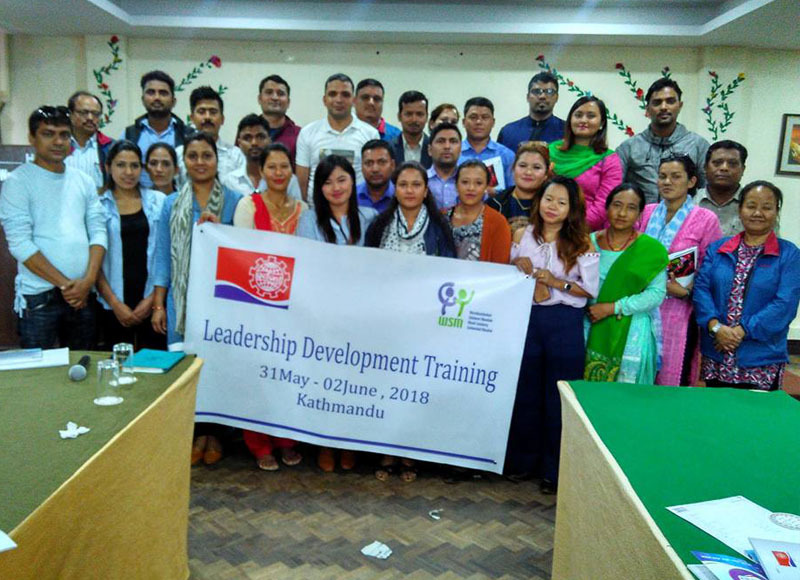 GEFONT Youth Committee has organised Youth Leadership Training in Kathmandu. Inaugurating the training, GEFONT President Binod Shrestha said that “Future of Trade Union Movement is bright and it’s responsibility is on the shoulders of young people.” Therefore, he suggested Youth to be dynamic and mobilise for organisation building. President Shrestha further highlighted GEFONT youth policy and programme to organise youth and empower them. He expected that youth leadership training will encourage youth to be more active in organisational work. During the Training, GEFONT Vice President Ramesh Badal informed about Labour Law and Social Security. Likewise, Vice President Bidur Karki presented about GEFONT new Structure, Committee structure and corporate ID. Similarly, Vice President Deepak Poudel informed about Labour Relation Committee & Labour Law. And Vice President Manju Thapa trained participants about the Organisation Management. During the Training, GEFONT Secretary General Janak Chaudhary presented about policy and programe adopted by GEFONT 7th National Congress. Meanwhile, Education Secretary Beli Maya Ghale highlighted about new structure and Foreign Department Secretary Damodar Sapkota spoke on youth policy.